Now thats what you call a REAL sport………………. 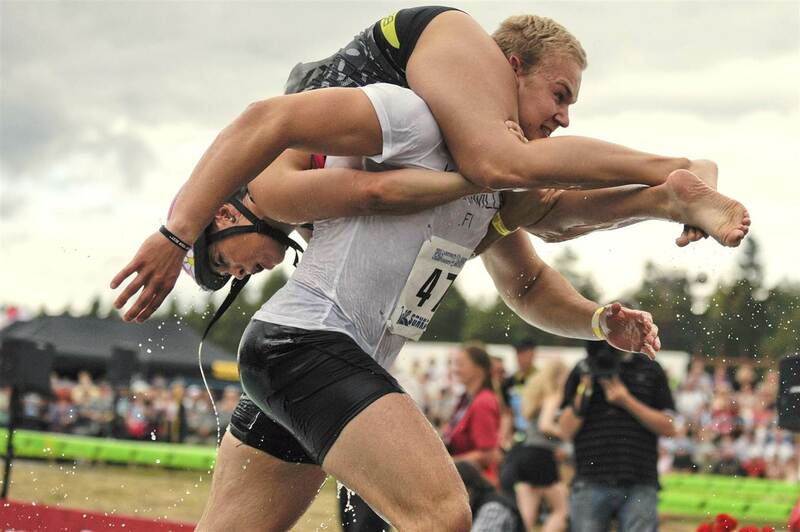 A Finnish couple has narrowly won the 19th Wife Carrying World Championships — a quirky competition in which men race to be the fastest while carrying a female teammate. Ville Parviainen and Janette Oksman cleared the grueling 253.5 meter (278-yard) obstacle course in 63.75 seconds on Saturday, less than a second ahead of Britain’s Rich Blake Smith and Anna Marguerite Smith. Thirty-six couples from a dozen countries including Australia, Japan, and the United States took part in the race, which was held in the central Finnish municipality of Sonkajarvi, north of the capital, Helsinki. The rules stipulate that the woman must be over 17 years of age and weigh at least 108 pounds. In years past, the winner’s were rewarded with their wife’s weight in beer. 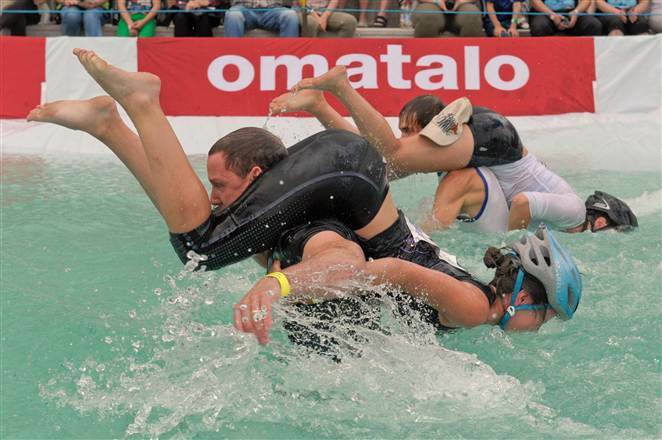 Categories: Recreation | Tags: Finland, Sonkajarvi, sport, World Wife Carrying Championship | Permalink.